And the cake sounds nothing short of delicious! Claire Ptak, owner of Violet Bakery, has been chosen to make the cake for the wedding in May of Prince Harry and Meghan Markle. She poses for a portrait in London on March 20, 2018. Meghan Markle and Prince Harry chose a pastry chef to create the wedding cake for their May 19 nuptials, and she's a friendly face from Markle's past. 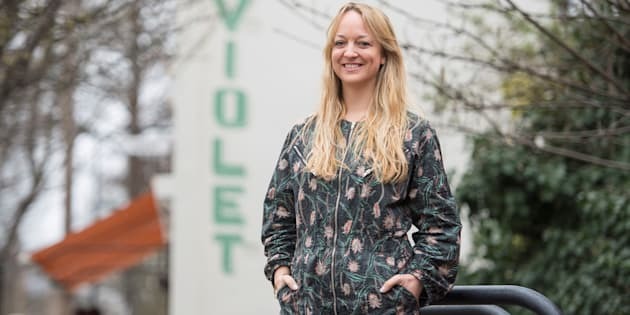 Claire Ptak, owner of London-based bakery Violet Cakes, is the lucky baker, according to an announcement via Twitter Tuesday from Kensington Palace. Markle previously interviewed Ptak for the bride-to-be's former lifestyle website, The Tig, the palace explained. Ptak must have made a great impression. As opposed to more traditional cakes such as red velvet, vanilla buttercream, or fruitcake, Markle and Harry have opted for a lemon elderflower cake that will bring together the "bright flavours of spring," Kensington Palace wrote. The cake will be coated with buttercream, and feature fresh flowers as decorations. "I can't tell you how delighted I am to be chosen to make Prince Harry and Ms. Markle's wedding cake ... Knowing that they really share the same values as I do about food provenance, sustainability, seasonality and most importantly flavour, makes this the most exciting event to be a part of," Ptak said in a statement, according to CNN. Ptak was raised in California, according to Vogue. The baker solely uses organic flour, sugar, milk, and eggs with her cakes, Ptak wrote on her website. Her buttercream icings change as the seasons change, she added. "They are made by whipping up butter and sugar then gently folding in fresh fruit purees, melted Valrhona dark chocolate, freshly brewed espresso, homemade flower cordials or dark caramel made with sea salt," Ptak explained on her website. Markle and Harry are certainly in for something delicious. The prince and royal-to-be have made plenty of headlines about their upcoming wedding. Recently, the Daily Mail reported that Prince Harry, with an estimated $55 million fortune, would not sign a prenuptial agreement. The pair also made headlines with their wedding guest list, including a debate on whether they should invite former U.S. president Barack Obama or the current sitting President, Donald Trump. Prior to Tuesday's announcement, the Daily Telegraph had reported the couple would buck tradition by choosing a banana wedding cake. "This will be the first royal wedding cake made from bananas," a source, reportedly close to the couple, told the Daily Telegraph in December. A year earlier, Markle uploaded a photo on Instagram — possibly signifying her and Harry's long distance romance — of two bananas cuddling, the Daily Telegraph reported. The caption read "sleep tight" with two kisses. Meghan Markle attends an event with the prince hosted by social enterprise Stemettes to celebrate International Women's Day at Millennium Point in Birmingham on March 8, 2018. Wedding planning website Bridebook threw their hat into the royal wedding ring, estimating the cost of the May 19 event to be £1,969,873, or approximately $3.6 million dollars. The music and Markle's dress alone are tagged at £300,000 each, or about $550,000. The wedding dress has been another hot topic. Brides Magazine gathered their top designers to sketch what they believed could be Markle's pick. Some suggestions were a "feminine illusion neckline," long sleeves with a high neckline, or an embroidered gown. Amidst all the rumours, the news of their not-so-traditional cake shows that the happy couple have their planning all under control.